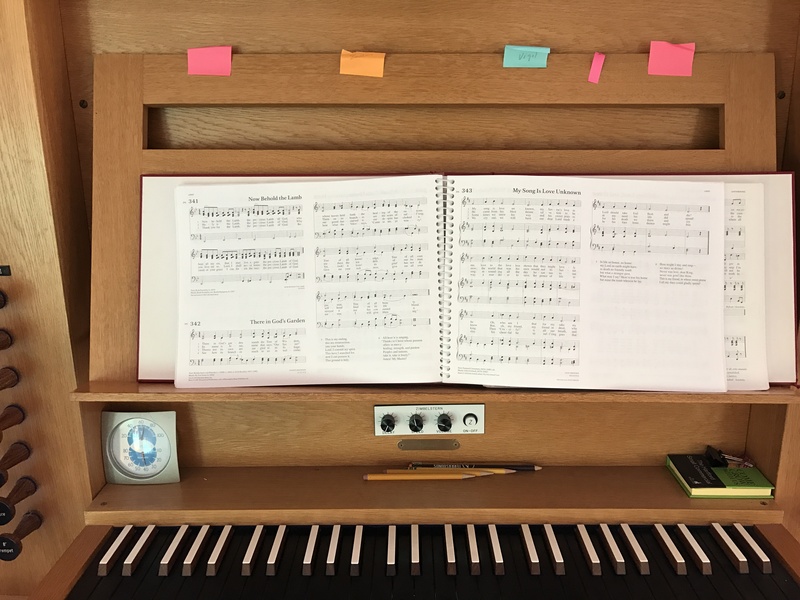 Whether it’s the majestic sounds of our tracker organ, the soaring choral and guest musician works, or the full voiced participation of our congregation, the music of Immanuel is indeed special. It’s part of who we are. We love it and we welcome your voice! 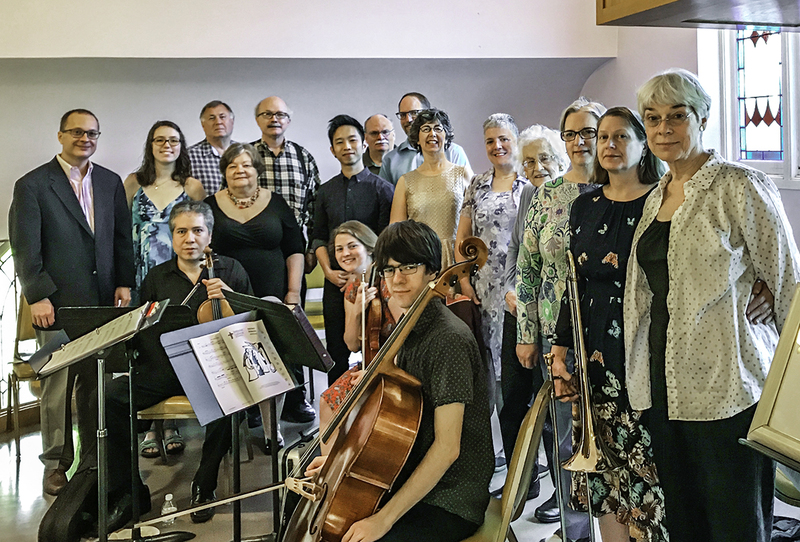 The Immanuel choir sings a broad variety of repertoire, some a cappella, and rehearses on Wednesday evenings at 7:30 p.m. September – May. The choir is led by Jimmy Morehead. If you’re interested in joining the choir, please contact Jimmy at jimmymorehead1998@gmail.com. Come join the fun! Composed by Kyle Johnson. Presented December 24, 2016. 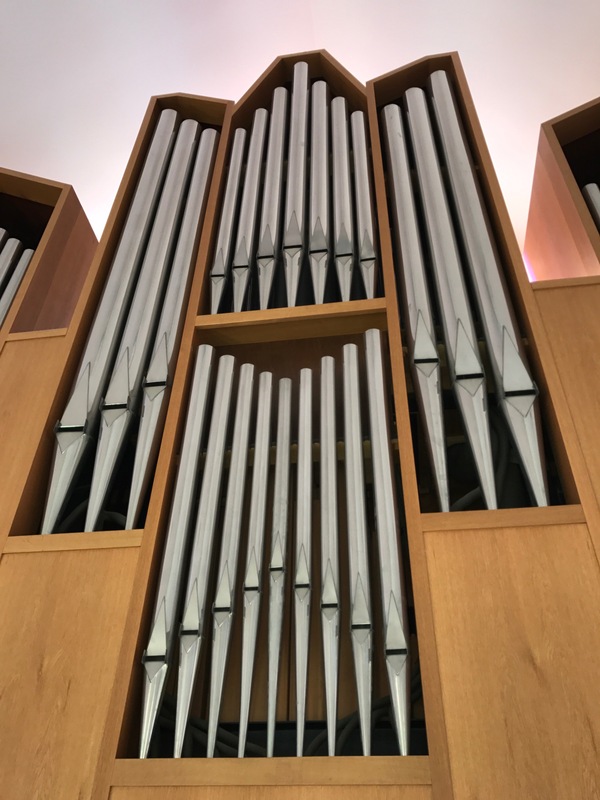 He goes on to say how the organ and Immanuel’s music program affects him emotionally: “What might best sum up my feelings about Immanuel’s organ is that when I practice I lose sense of time literally becoming lost in the moment.” By the way, Greg’s been our organist since 1971. The man knows his music and his instrument. Each year, Immanuel hosts a competition for organ students, and awards a substantial scholarship prize. Applications are now being accepted for 2019. The deadline is January 15th. Click for more information or for the application form. 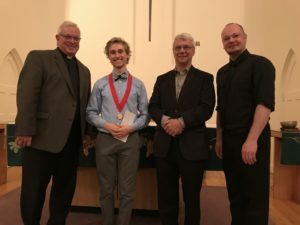 The 2018 recipient of the Immanuel Lutheran Organ Scholar Award is Andrew Barbour, who is pursuing a Master of Music degree in Organ Performance at the Cincinnati College-Conservatory of Music. As part of his award, he provided an amazing concert which was free and open to all. A wonderful champagne reception followed.